Damien Hardwick is interested in signing Tom Lynch to the Tigers. RICHMOND coach Damien Hardwick has hit out at AFL list rules, claiming it's "farcical" that clubs can only improve their lists once a year. Hardwick's comments come one month after he lost big Tiger Ben Griffiths, who suddenly announced his retirement after he accepted a scholarship offer to join the University of Southern California as a punter. The sudden move has left the Tigers with a spare spot on their list for the 2018 season, a spot they can't fill as list lodgement closed after last year's rookie draft in November. Hardwick, a long-time advocate for mid-season list changes, accused the AFL of being way "behind the times" when it came to player movement. "I find it farcical that we can only improve our list once a year," the reigning premiership coach told AFL Media. "I do not understand what we have to do to give a guy that's playing fantastic footy in the VFL, or wherever it may be, an opportunity through the year if we have significant injuries. "We've just lost Ben Griffiths, who's chosen to pursue a different career, and we've got a list spot there that will remain unfilled. "Every kid who is kicking a ball around this day and age wants to play AFL footy and we've got a spot available that will sit for the whole year. That's 12 months no one gets an opportunity and it's disappointing for mine." Hardwick does have an ally in AFL chief executive Gillon McLachlan, who last year said well-managed clubs would climb quicker if more fluid player movement was introduced. 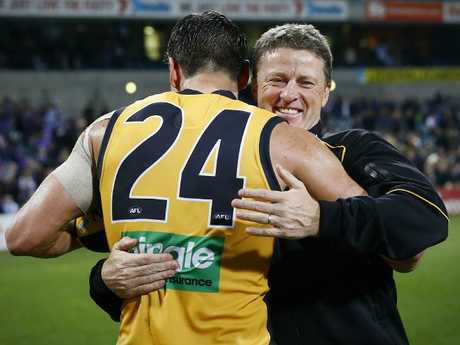 Melbourne great Garry Lyon said he expected the AFL to introduce flexible list rules in the coming years, as it appears the league is in unison with Hardwick's opinion. "You've got to read the tea-leaves," Lyon said. "What happens in this game, things are either strategically linked or viewpoints are promoted and put out into the press because it's a way of conditioning you for change, and this is part of the conditioning process. "I'm not saying 'Dimma' is in cahoots, I'm sure he believes exactly what he's saying, but I think the AFL's aim would be to have more flexibility in list management." Essendon legend Tim Watson agreed. "It's going to happen. It won't happen this year due to the current contracts that are in play … and they need a little bit more time to work out what structure they want to put around this to make sure it will happen." 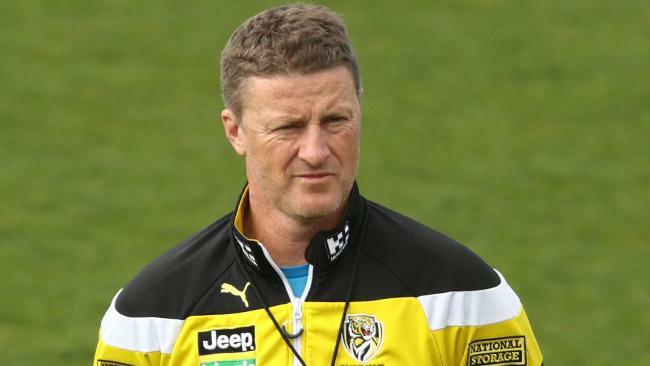 Hardwick added: "I'm a big advocate for free agency and I think after a certain period at a club players should have the ability to earn a bigger contract somewhere else. "But having said that, the players have all the power at the moment, and we probably should get something back for that."